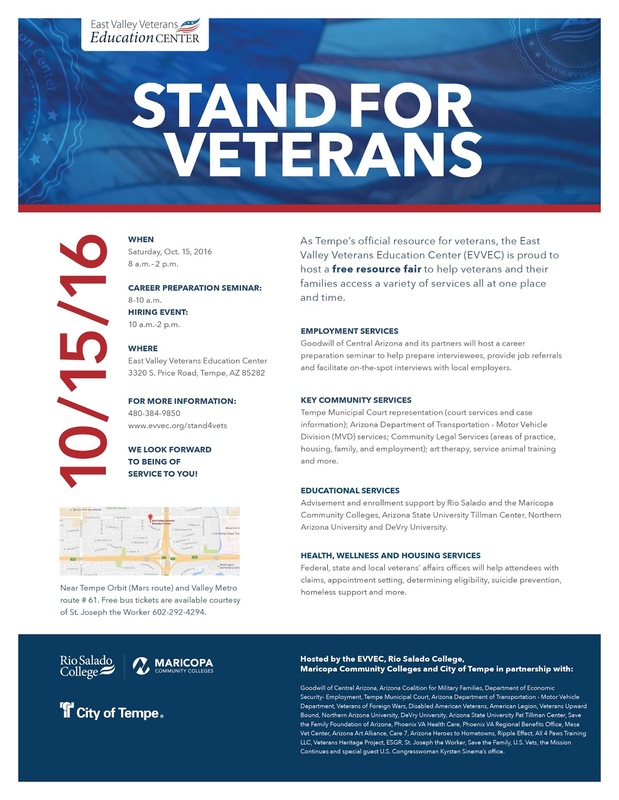 Rio Salado College | RioNews: Free Resource Fair for Veterans & Their Families! Free Resource Fair for Veterans & Their Families! Are you a veteran in need of a job? Want to maximize your GI benefits? Need to solve minor, legal traffic violations? 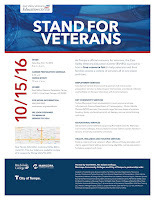 Stand for Veterans is a free resource fair for veterans and their families to receive help with these and other services-- all at one time and place! Nearly two dozen community partners will be availble to provide in-person services including the City of Tempe, Tempe Municipal Court, Arizona Department of Transportation - Motor Vehicle Services and Goodwill of Central Arizona, which will host employment workshops and facilitate interviews with employers. Learn more at www.evvec.org/stand4vets. Take the survey and tell us what you need!